To know the environment of Bajo Guadiana, the best is a tour. 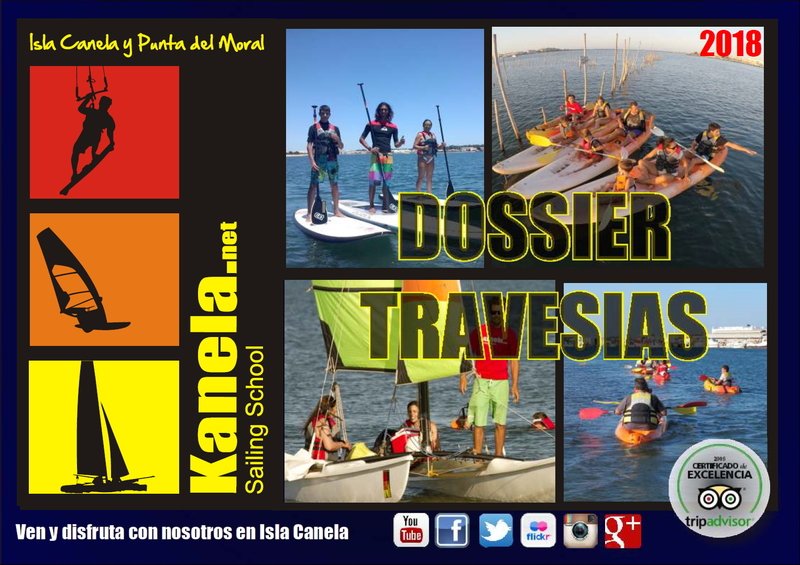 We organize trips in kayak, paddle surf and catamaran. For kayak and paddle surf, we have programmed a few routes, you can also personalize it and chose a specific one. It is possible to do the routes by any of both modality. 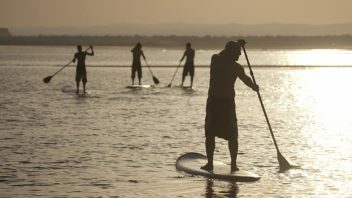 Kayak is a bit easier, although paddle surf has as advantage of being stand up so you can have better views of the landscape. We do mainly three tours, on the tide direction, so that the trip is very achievable. The routes are around the littoral and the marshland at the back of Isla Canela, where the group could enjoy the completely natural environment with its vegetation typical of marshlands. 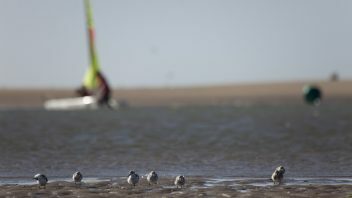 In this way, it is possible to watch different birds such as herons, curlew, storks… There is no need of any knowledge about sailing, as the level required is very basic. We do basically three routes: Guadiana´s descent, Carrera River and area of Canela-Punta del Moral.